Credit: Ivan Pazos et al. "In this type of computing, a multitude of possible solutions to a problem are randomly combined," adds the expert, who currently works for a Japanese architectural firm, "and a selection system is choosing the best results. This operation is repeated again and again until the algorithms get the most accurate results." The study, published in the Journal of Urban Planning and Development, has focused on one of the neighbourhoods with the highest vertical growth in the world in recent years: the Minato Ward, in Tokyo, where the headquarters of multinational companies such as Mitsubishi, Honda, NEC, Toshiba or Sony, are located. "This methodology could have been applied to any other city with a high number of skyscrapers," Pazos points out. 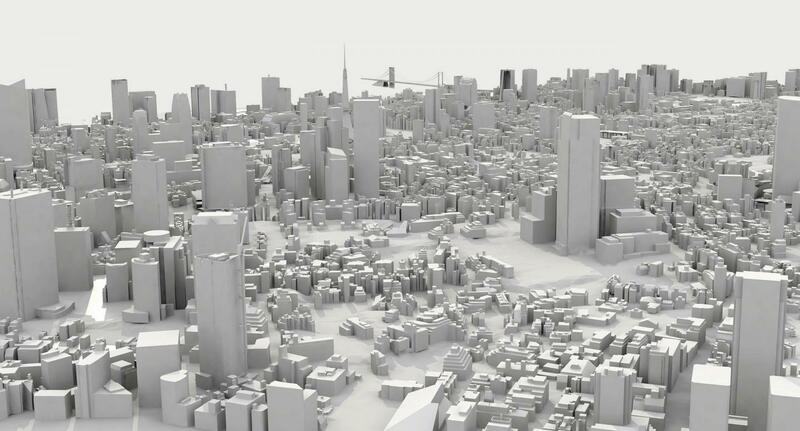 In 2015, once all the information had been gathered, the authors created a series of maps and 3D representations of Minato to be able to predict the number of buildings and their probable locations within this booming ward in the following years during the 2016-2019 period. "The predictions of the algorithm have been very accurate with respect to the actual evolution of the Minato skyline in 2016 and 2017," says Pazos, who comments: "Now we are evaluating their accuracy for 2018 and 2019 and it seems, according to the observations, that they will be 80% correct." "The final conclusion of the study is that evolutionary computation seems to be able to find growth patterns that are not obvious in complex urban systems, and by means of its subsequent application, it serves the function of predicting possible scenarios for the evolution of cities." concludes Pazos. Rafael Ivan Pazos Perez, AdrianCarballal, Juan R. Rabuñal, Omar A. Mures and María D. García-Vidaurrázaga. "Predicting Vertical Urban Growth Using Genetic Evolutionary Algorithms in Tokyo's Minato Ward". Journal of Urban Planning and Development 144: 1, March 2018.